Input is the data that you put into the computer and the output is the data that comes out. There are different devices that input or output data. Here is a list of input and output devices with a picture of it. Click on the word to see the picture. Below is a picture of the loop that happens when data is inputted. Charles Babbage is the man who invented the first computer. He wasn't alive when it was fully functional but it was his exact design. 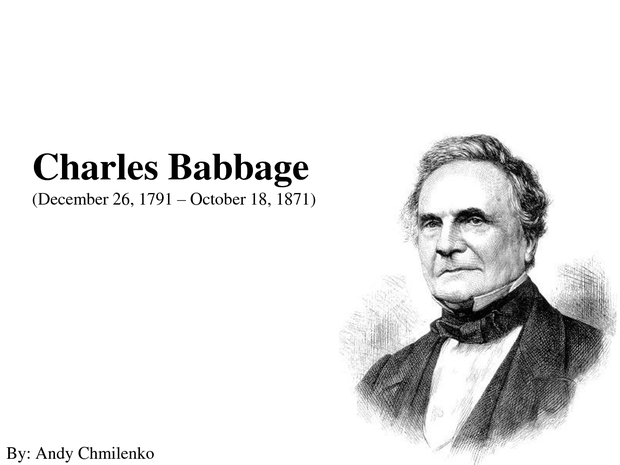 Below is a picture of Charles Babbage and his birthday. Hardware is the physical components inside a computer or other electronic device. For example: A motherboard is a piece of hardware that holds some other main pieces of hardware. Here is a list of other bits of hardware and if you click on one you will get a picture of it. Alan Turing was a pioneer, computer scientist and mathematician along with some other things. He help solve the enigma code that was used by the Germans in the second world war, the Germans used this code for communication that no-one else could understand. The way the in-script the enigma code was to use the Enigma machine. Alan Turing also invented the Turing machine which was used to write binary code on tape that was strung out. Another thing Alan Turing thought of was artificial intelligence, so like a human being able to speak to a computer as if it were another being. 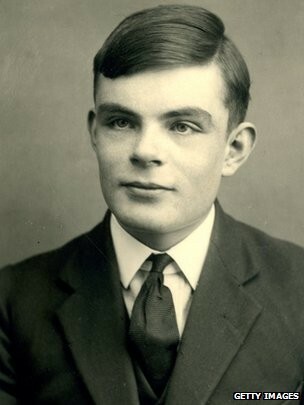 Below is a picture of Alan Turing.